Want some new music? How about interviews with some of the biggest names around? Interested in something a little silly? 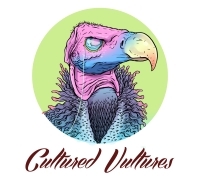 Cultured Vultures have something for you. Mötley Crüe’s drunken, cocaine-fueled stagger down memory lane is equal parts fascinating and messed up. "Clowns to the left of me, jokers to the right..."
Soundcrash's funky, jazzy event is becoming one of the most important festivals in the UK calendar. The commercialisation of relationships continues in the newest Jonas Brothers music video. You Are The Jumpmaster is some fighting music. The grappling rap maestro talks to us about his relationship with wrestling, music, and faith. Of course the Lord of the Rings soundtrack is here. What does your 2018 Spotify Wrapped tell you about your listening habits from this year? There's no shortage of quality throughout Morricone's glittering discography.